The right location is everything. "I chose this location for the obvious professionalism..."
Twenty-five office suites - designed for the business professional. We currently have suites available. We also rent conference rooms and meeting rooms. Our twenty-five (25) office suites are designed for the business professional. They are all "windowed" and many even provide the unique old Victorian details from the early 1900's. With mail delivery and use of our business address at 2389 Main Street, Glastonbury, Virtual Office has two Plans available with access to all our business support services at Client Prices. For over 19 years, our goal has been to provide accurate, quality documents while meeting short-term time requirements. Secretarial Support Services available. We understand the need for information quickly today. Get Started with a Tour. If you need a prestigious business address and all the amenities of a large corporation without the overhead cost, consider Main Street Office Center LLC. With furnished offices ranging in size from 100 square feet to over 500 square feet, including a two-room suite with a fireplace and private exterior entrance, we have the address for you. We offer part-time and full-time furnished business office space for rent, virtual business offices, rental conference rooms, skilled receptionists to answer your telephone and greet your clients, plus the professional services business people need today. 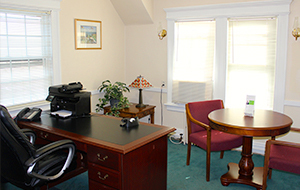 Located in an early 1900 Victorian building just minutes from Route 2 and Interstate 91 and only six miles from Hartford, Main Street Office Center is an all-inclusive fully equipped and professionally staffed office business center. With adjacent convenient free parking, the office center is centrally located in Glastonbury next to the Welles Turner Library and within walking distance of over 25 restaurants and many other services. We do not have the sterile image of "chrome and glass". Our receptionist area has marble floors and black granite counters and beautiful Victorian molding. We have a variety of office equipment such as bulk staplers, cutters, tape etc. for your usage at no-charge. Our receptionists/admin personnel are happy to assist you with any of your business needs from typing to signing holiday cards to scheduling a flight. We utilize Google Calendar to make appointments for some of our clients, make bank deposits for clients out of state, and even designed and produced invitations and place cards for a client special event. Our reception area boasts a large digital black and white and color high speed copy machine which is also a high speed scanner which can scan documents to your email address. High speed internet, Wi-Fi access, fax machines, postage meter, are all available for your usage. Main Street Office Center utilizes a "code" system for variable billing of these extras. We assign a code to each person. This code is used to enter the building after hours (you have 24/7 access), used for our stamp machine, and for long distance faxes. These ancillary services are billed each month. 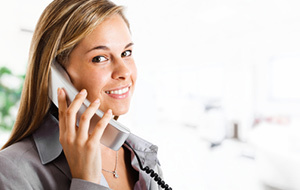 Please give us a call to discuss your business needs today - we would love to give you a tour of our building! 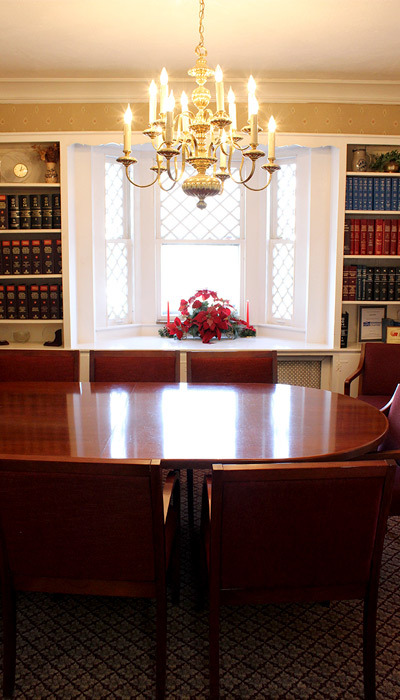 Furnished business office space for rent, virtual business offices in Hartford CT, rental conference rooms.